Cost: £67.00 per module or £167.00 one-off payment. Are you a therapist working with people affected by a physical disability or interested in doing so? Have you ever felt uncomfortable around someone with a disability and want to understand why? Would you like to know how to meet your legal obligations towards disabled clients under the Equality Act 2010? Would you like to deepen your understanding of what life is really like for disabled people? Would you like information and tools for working effectively with disabled clients? Living with Disability: Get the Bigger Picture is an original and challenging course which draws on a wide range of sources - contemporary, historical and theoretical - to give you an unparalleled insight into the personal and social experience of living with a physical disability, and an understanding of where some of these experiences are rooted in our culture. Many counselling and psychotherapy training courses devote very little time to disability; where it is included, it tends to be lumped in with 'health issues' or something similar. But the fact is, most disabled people aren't ill; instead, they're 'handicapped' by physical barriers, media representations, cultural stereotypes and stigma that get in the way of full inclusion in society and the development of authentic I-Thou relationships. And then there's the life experience 'from the inside' of having a body that doesn't conform to what's generally accepted as 'normal'. This course will show you the world from the perspective of people living with a physical disability. An understanding of where some of our disability stereotypes come from. An understanding of how living with disability can affect an individual. An appreciation of how disability can affect the lives and relationships of their family members and loved ones. A deeper self-awareness of your own beliefs around disability. An awareness of how disabled individuals are profoundly affected by stereotypes and attitudes. Information and tools for working more effectively with disabled clients. An understanding of how to meet your legal obligations under the Equality Act. The course is structured in three modules, priced at £67.00 each, allowing you to download and study in your own time. Activity sheets designed to enhance your understanding of the course materials and your personal self-awareness, including case studies and reflective activities. Links to carefully selected YouTube videos presenting different perspectives on living with disability. A dedicated private Facebook group for you to share questions, thoughts and feedback. A CPD certificate and PDF handbook (50+ pages) including all website materials and suggestions for further reading, emailed to you on completion of the activity worksheets. Personal, individually tailored feedback on your completed activity sheets from me, Libby Webber, course facilitator. 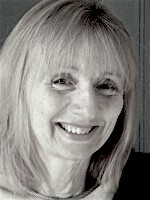 Libby Webber became disabled over 30 years ago and works extensively in private practice with both disabled and non-disabled clients. Prior to training as a therapist, Libby worked for 20 years as a TV and radio producer. She has also taught media production and media studies in further and higher education, and was a skills coach for the BBC.